It is important to accept the fact that the carpet in high use areas of your house may pull away from its tacking strips with time. In some instances, the seams found between its strips may also separate or become damaged. When this happens, the carpet requires stretching and repair to improve the overall aesthetic appeal of your house and reduce safety concerns that come with loose carpets. What Shows that Your Carpet Needs Stretching and Repair? There are certain signs that a competent carpet stretching and repair in Castle Rock, CO expert will recognize. Signs that you may notice include the carpet appearing to have a lumpy, rippled and wrinkled look. In normal cases, the carpeting material should lay smooth and flat across your floor. Try contacting a carpeting expert to identify damage signs that you can’t notice. If your carpet appears to be great in shape, it needs a quick stretching service. This is due to the fact that there are some carpeting issues that pose risks to households. 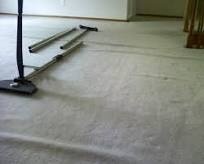 Carpet stretching and repair in Castle Rock, CO experts usually adopt different methods depending on the state of your carpet. For instance, they may re-seam it or install new tacking strips if it appears to be loose. At times, they may trim away some of the excess carpet found in a room when stretching it. It may seem like an easy or simple project to undertake but carpet stretching is quite technical than you think. It requires energy, time and some tools. An expert will ensure that the work goes on smoothly and quickly with an objective of generating superior results. It can take the expert a single day to complete the job. To ensure that your home is safe from risks that come with damaged carpets, it is important that you hire a professional for the stretching and repair job.